Crickets, ants, caterpillars, wasps, beetles – repugnant gimmick or sustainable superfood? 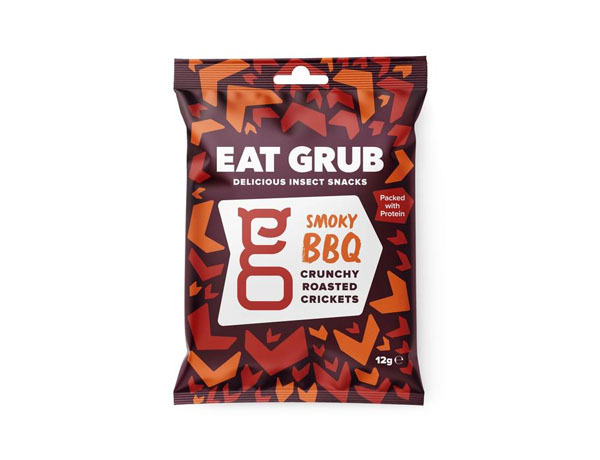 Last year Sainsbury's launched Eat Grub’s range of edible insect snacks in a UK supermarket first. Fortnum & Mason and Selfridges have quickly followed suit. While in some parts of the world these critters are considered a delicacy, getting over the ‘yuck factor’ in the UK has still some way to go. 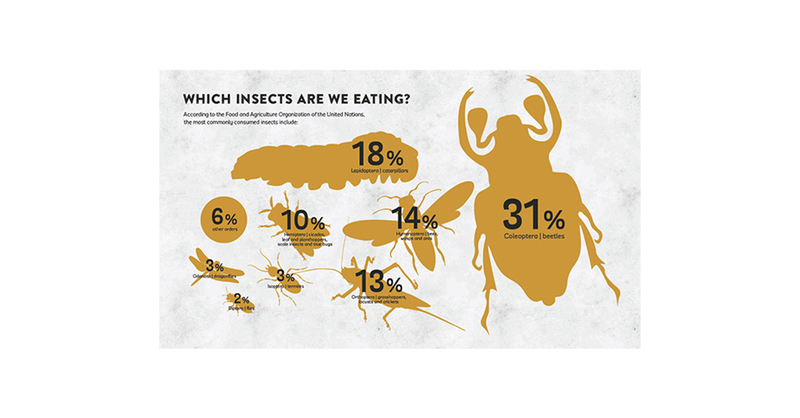 In 2018 Mintel reported that only 11% of British consumers are interested in trying food products made with insects with 37% describing the idea as disgusting. Ouch. Yet around 2 billion people in the world eat insects every day with about 1900 edible species of every shape, colour and flavour. Insects have been eaten around the world for centuries. The Greeks and Romans dined on beetle larvae and other insects. Even in the bible St. John the Baptist survived on honey and locusts. Bug-eating has a been a culinary tradition in many countries from Brazil to Australia. Moths, nutty-tasting witchetty grubs (apparently similar to mashed potatoes) and honeypot ants have long been indigenous mouthfuls for Aboriginal Australians. Critters are practically common-place on the menu in Mexico too, and are home to the largest number of edible insects. Mexican insect delicacies range from pan-fried gusanos with a side serving of guacamole, candy-covered worms to a creamy wing-ant salsa. Demand is so high in Mexico that 40 insect species are under threat with others commanding sky-high prices. A kilo of caterpillars of the tequila giant-skipper butterfly can set you back a cool 250 US dollars. It’s only over time that we’ve gradually turned away from eating insects, moving from a nutritious food source to being labelled ‘primitive’. In 2013 the UN Food and Agriculture Organisation reported that eating insects could help to reduce pollution and fight world hunger. Bugs are exceptionally efficient at converting the food they eat into body mass – about twice as efficient as chicken and pigs and more than five times as efficient as cattle. They take up far less land, reducing irrigation and pesticide use. Not only that, but bugs are nutrient powerhouses too – rich in lean protein, vitamins and minerals such as iron, zinc and magnesium. Some bugs can contain up to 80% protein, with others like the mopane caterpillar and locust have more iron than beef. Crickets for example are high in protein, rich in omega 3 fatty acids, vitamin B12 and you need only four crickets worth to get the same amount of calcium as a glass of milk. Perhaps we just need the ‘superfood’ wellness brigade to catch on for insects to become the next must-have goji-berry. In the UK, it could seem that edible insects are nothing more than a gimmick. But maybe more people would consider these bugs as more than just a novelty item if they believed they were tasty and on trend. Consumers might be more willing to eat insects if they were included in familiar foods such as bread, cakes, cookies and health food products. Some companies are offering cricket flour exactly for this reason with several processed insect products across North America, Canada and the EU including insect fitness bars, insect pasta, and insect bread. Foods that tends to be viewed with disgust usually make their way into our everyday from the top down – usually with the support of expensive restaurants and celebrities such as Angelina Jolie, who’s previously said her children eat crickets ‘like Doritos’. Perhaps insects really could be the next trend. So what’s the verdict? Only time will tell. They’re nutritious, sustainable and convenient – it seems it’s only the yuck-factor that’s standing in the way. Perhaps gradually edible insects will become more accepted and less gruesome as dietary habits evolve towards sustainability and efficient nutrition. First as a trendy superfood, and then absorbed into everyday food culture as another protein source that you wouldn’t bat an eyelid at. How can businesses move towards sustainability? 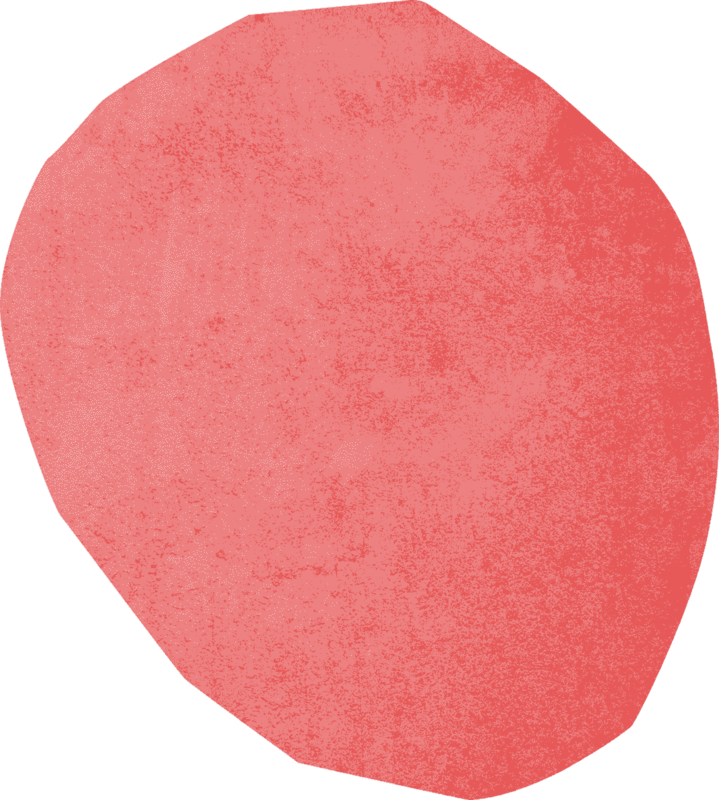 In the third part of our series on sustainability we caught up with Tom Leech from Department 22, an innovation consultancy that helps businesses to tell a new sustainable story. 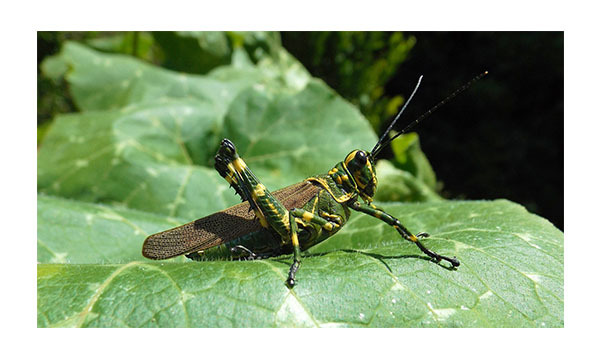 Crickets, ants, caterpillars, wasps, beetles – repugnant gimmick or sustainable superfood? Betty Agbons is an undocumented migrant from Nigeria who arrived in the UK at 16, alone, with one saucepan in her bag and some big dreams.